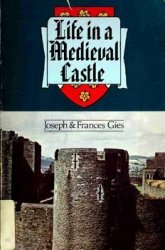 This book is an excellent start in study the workings of a Castle and how everyday life was in Medieval times. The starts with the Castle arriving in England, and then moves into the various aspects of Castle life, the function of the Lord and Lady, the running of a household, how hunting was not a sport, but a means of survival. It goes into how a knight was made, how the Castle function in warfare and then shows why Castles slowly faded away.